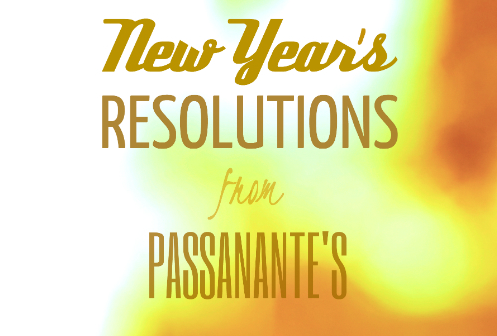 As we reflect on 2013 and look forward into 2014 we wanted to take this opportunity to sincerely thank everyone for another magical year at Passanante’s Home Food Service. We have the most incredible customers and staff and couldn’t be more grateful for the support, referrals and kind reviews — they mean so much to us! To help kick off the new year we thought it’d be fun to offer up a hand full of new year’s resolution suggestions for all of you. We hope you have an incredible 2014 and are looking forward to delivering fresh, high-quality meats and organic produce to each of you and your families. It is an honor to call each of you customers! Happy New Year! It’s no secret that eating home can lead to serious savings, but it’s so hard to resist the temptation of grabbing a quick bite to eat when you’re just getting home after a long day of work. We all have our vices so try to find or create a recipe that satifies those cravings. Are you a mexican food junkie? Maybe it’s chinese food or even deep dish pizza. Take notes at your favorite places and make a project out of recreating your favorite meals…. you won’t be sorry. Just like mom says, everything is ok in moderation. In 2014 work on your willpower and save the left overs for a second meal rather than seconds at dinner. We all get in the mood for a really sinful meal every once and as long as you don’t eat the whole bucket of fried chicken indulging doesn’t have to lead to a stomach full of guilt. We’ve talked about the value of “eating colorfully” in previous blogs and the new year is a great opportunity to get in the habit of eating a more balanced meal. It really couldn’t be easier to figure out to do if you’re doing it right — if you’ve got 4 of more colors on your plate at each meal you’re doing pretty good! Now.. eating french fried an putting food coloring in mashed potatoes doesn’t count as two colors. — we’re talking fruits and vegetables! The best recipes are the ones that have been perfected over generations of additions, subtractions and substitutions. This year make an effort to host a great pot luck party and invite friends and neighbors to share their favorite family recipes with the group. If you’re feeling really adventurous you could even collect each of the recipes and make a small book as a party favor for your guests. Sharing family recipes is a really unique way to strengthen friendships and learn more about the people you care for. Everyone knows the fastest way to someone’s heart is through their stomach… so why not spread the word about Passanante’s this year? All jokes aside, we genuinely appreciate every single referral and tasting party request and would love the opportunity to impress your friends this year. If you think our gourmet food delivery service could be a good fit for someone you know we’d love the opportunity to wow them! This entry was posted in Passanante's and tagged 2014 New Year's Resolutions, Food Delivery Service, Gourmet food delivery, Hormone-Free Meat Delivery Service, Organic Produce, Passanante's Home Food Service by Passanante's Home Food Service. Bookmark the permalink.